We featured Phyllis Dillon back in December 2007. Here’s another video from the Jamaican singer entitled Don’t Stay Away. 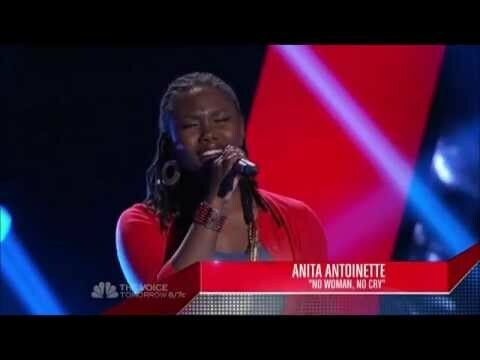 Anita Antoinette is a Jamaican singer who made it to the blind auditions in the TV show The Voice. Although she didn’t get chosen, she got to sing No Woman, No Cry by Bob Marley twice – the a capella version moving the judges and audience alike. You are currently browsing the Jamaican Music weblog archives for October, 2012.